For decades, each subsequent competition saw an evolution in ball design. Still, most held to a similar format made up of parallel and perpendicular leather strips — that is, until the iconic Telstar ball hit the field during a crucial period of change for at-home sports viewing. In 1970, the United States was in the middle of transitioning to color televisions. Most households had TVs, but the majority of those were still black-and-white sets. 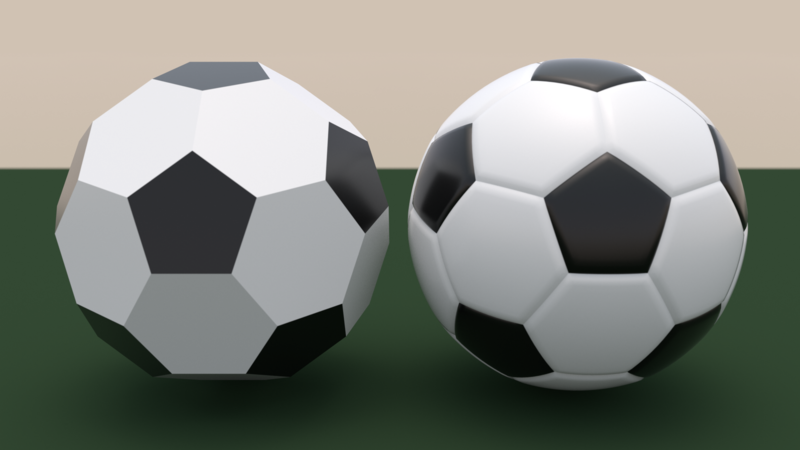 So the new ball design featured a high-contrast array of black pentagons alternating with white hexagons. This pattern made the ball’s form and motion clearer both on the field and on home screens, a big improvement on the uniform organic colors of earlier balls. The new look also informed that year’s event logo, with its dark geometric shapes against a light background (designed by Lance Wyman of Mexico 68 fame). 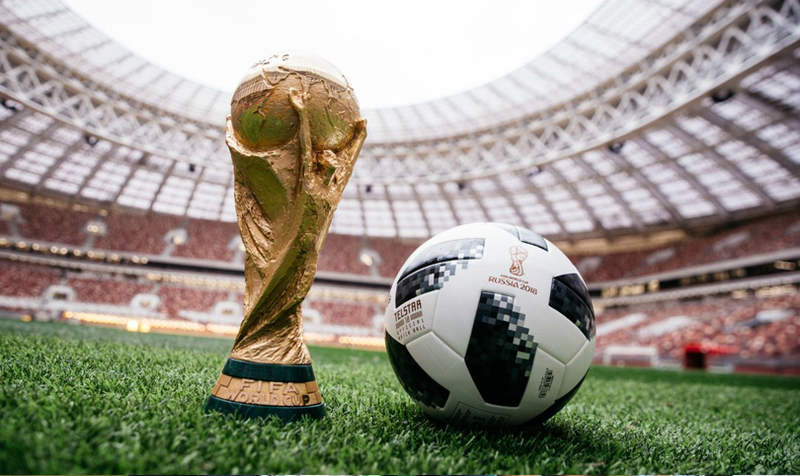 Developed by Adidas, the Telstar was the first World Cup ball to use the now-familiar truncated icosahedron for its design, consisting of 12 black pentagonal and 20 white hexagonal panels. 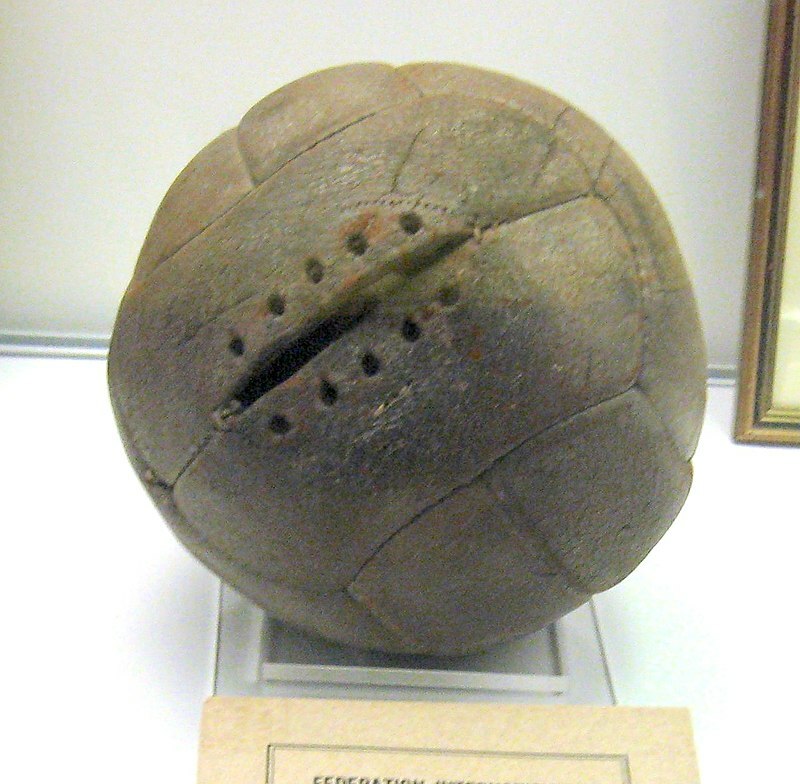 It has since become the world’s most recognizable soccer (or: football) ball. 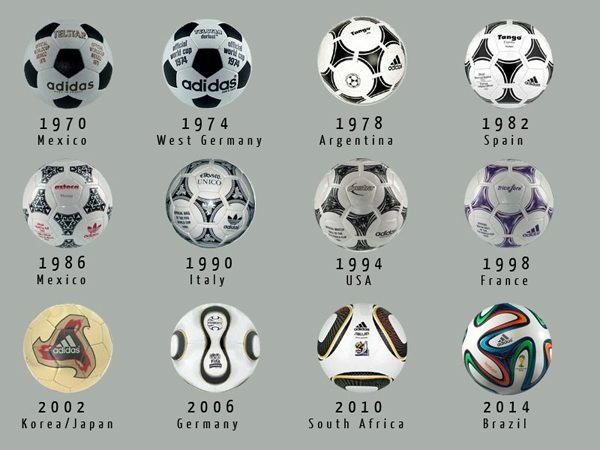 Following the designs’ success, the same company has been designing World Cup balls ever since. 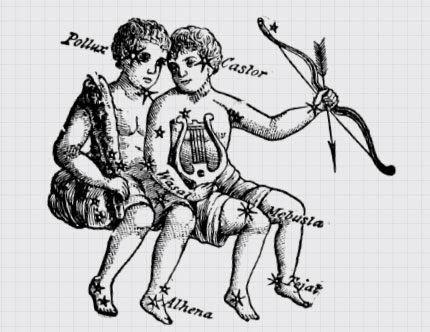 They have continued to change, but the basic idea of using alternating tone patterns is often used to help players and onlookers alike keep better track of the action. Though he widely used triangles to create his famous geodesic domes, the Buckminsterfullerene (or “Buckyball“) shape named after this famous architect does strongly resemble a soccer ball. 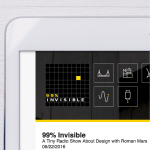 There is, however, no evidence that he was involved in the design. In fact, the ball was named after (and looks like) a key communications satellite launched in 1962. 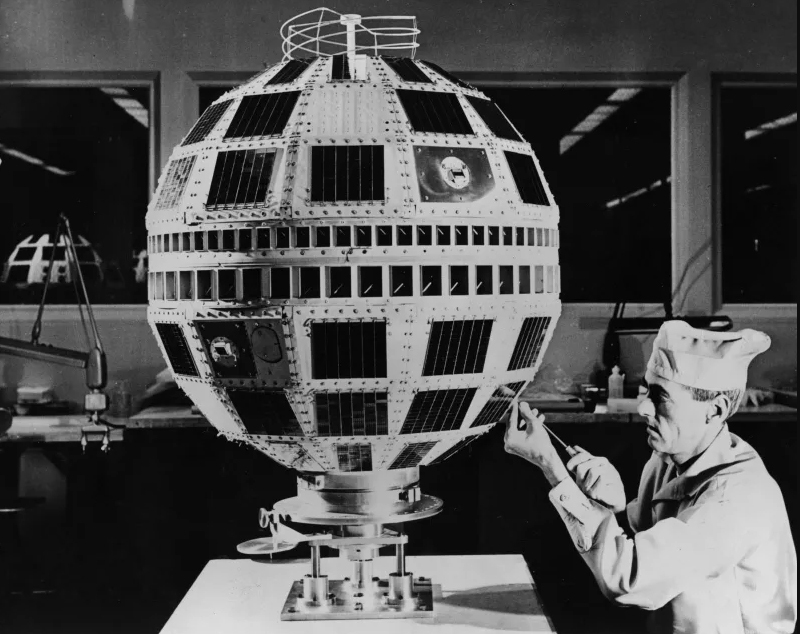 A portmanteau of “television” and “star,” this original Telstar transmitted the first live transatlantic TV feed (as well as the first telephone and fix signals) through space. Color and shape also aren’t the only things that set the Telstar and other newer balls apart. 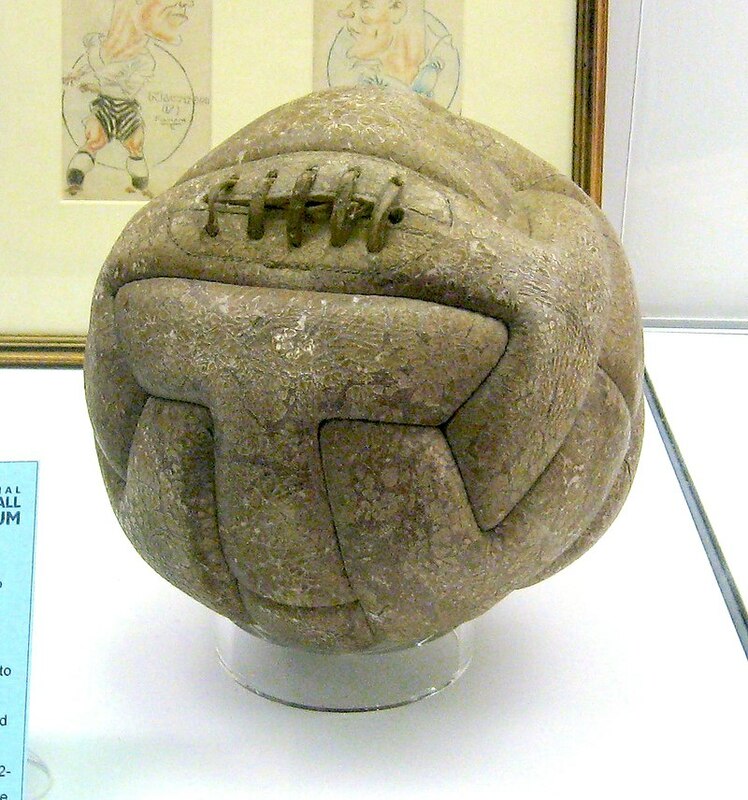 Made out of animal bladders and stomachs, many early soccer balls naturally broke down with use. Other old variants employed cork shavings inside a leather shell, but hitting a wet leather ball (particularly with one’s head) can be dangerous and painful. In the 1800s, innovations in rubber vulcanization led to sturdier new models. 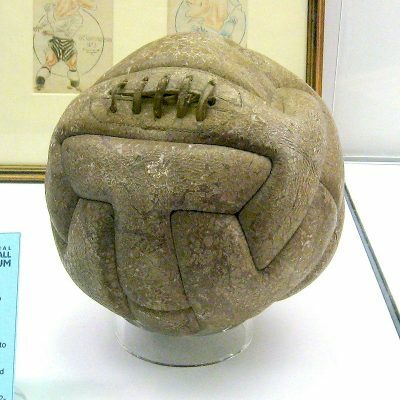 In more recent years, the use of thermal bonding has helped balls become more spherical and easier to handle as well. 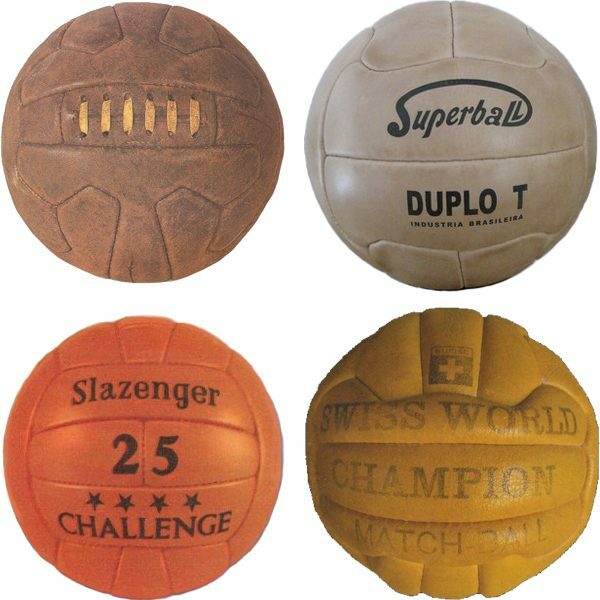 Today, there are a lot of balls designed for different matches and types of turf (including: training, professional, beach, street, and indoor variants). The idea that balls across levels of the sport should be standardized, found in many other popular games, is strangely absent. 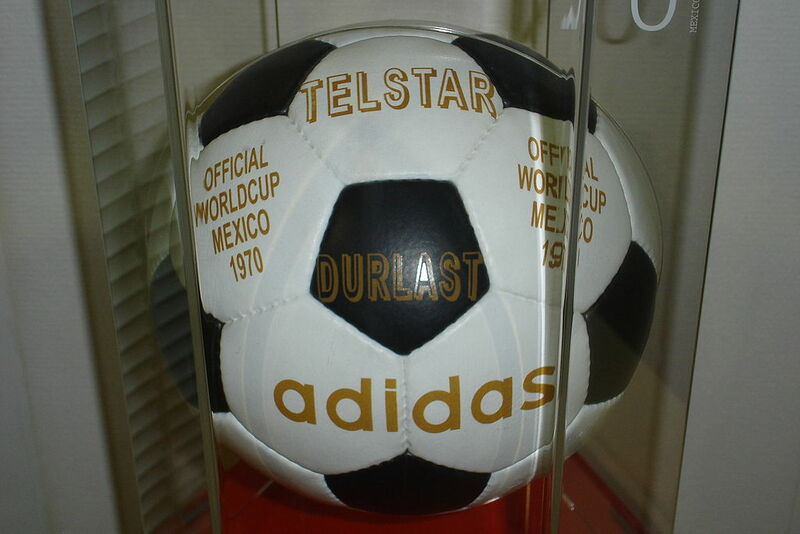 Still, the Telstar remains the most recognizable of them all. 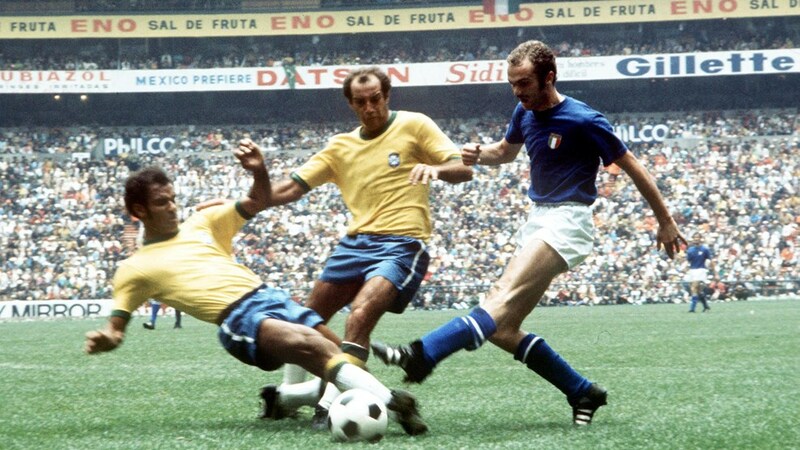 This year’s World Cup ball, the Telstar 18, is a callback to the game-changing ball from 1970, at least in name. It features just six textured panels, glued rather than stitched together. 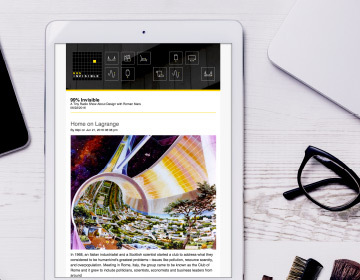 The design is also quite distinctive, though whether it will become iconic is another question. 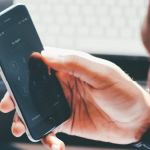 Its higher level of detail may look good up close, but it’s hard to imagine abstracting it as easily into a logo, or shrinking it to become an icon. Yes, gotta have those “fix signals”. You crack me up!